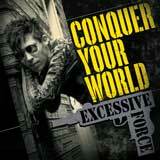 Metropolis Records is proud to announce the release of Excessive Force's entire catalog. Originally released on Wax Trax! Records these CDs have become much sought after items since going out of print a decade ago. Both XF albums have been digitally remastered, presenting the music in a quality previously unavailable. The accompanying CD booklets have been given an update, creating even more visual continuity between the two releases. Each booklet reprints the original album and single art inside along with extensive liner notes, never before printed lyrics for each song, previously unavailable complete recording information and never before released or rarely seen photos of XF. Sascha K., the founder and leader of Industrial and Electronic pioneers KMFDM is the driving force behind Excessive Force. All work on these releases, from the remastering to the packaging, has been done with the highest level of participation from Sascha. 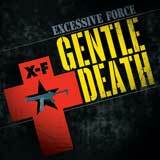 The two CDs being released by Metropolis Records comprise the entirety of Excessive Force's output. Conquer Your World, originally released in 1991, also includes all 3 cuts from the single Conquer Your House. This record was recorded as a partnership between Sascha K. and Buzz McCoy of My Life With The Thrill Kill Kult and represents XF's first foray into Dance, Electronic and House music sounds. 1993's Gentle Death features the 3 songs from the Blitzkrieg single as bonus tracks. Excessive Force's second offering delves even deeper into the Chicago House sound containing spotlight vocals from House Queen Liz Torres of Trax Records fame. Major contributions to Gentle Death were also made by Chicago Recording Company's studio maven Chris Shepard with other period KMFDM regulars joining in as well. Excessive Force is a violent peace that is set to conquer the world once again.